Manny The Movie has been selected as the opening film for ‪#‎SinagMaynila‬. As a festival that seeks to inspire, educate and enlighten the viewing public, SINAG MAYNILA will feature films that reflect Filipino culture, while presenting social issues deserving of discussion among audiences here and abroad. A special release of Manny Pacquiao Movie is scheduled on April 29 in theaters, before his ‪#‎BattleForGreatness‬ on May 3 ‪#‎PacquiaoMayweatherPH‬. 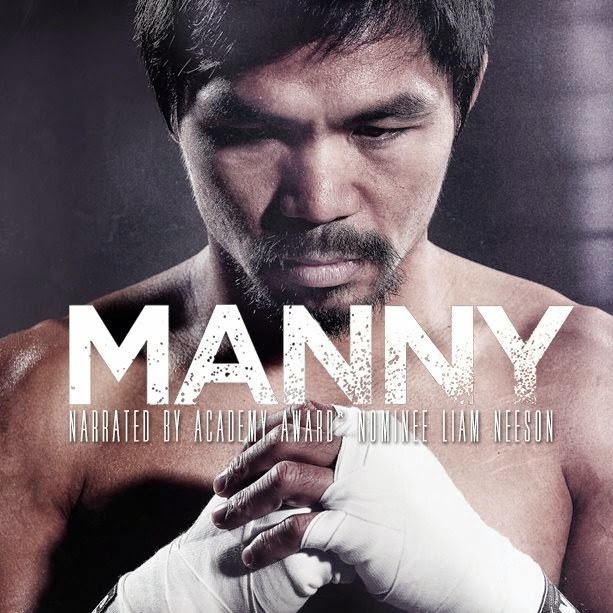 Order the documentary Manny narrated by Academy Award Nominee Liam Neeson available now on iTunes.